When you ask the majority of house hunters what they would look for in their ideal property, many would include ‘outdoor space’ on their list of wants. Although most people desire to own some outdoor space however, many cannot afford to achieve this dream while still sticking to the budget they have available for a home purchase. So are there any other ways that you can enjoy the benefits of having some outdoor space, without having to stomach the costs associated with actually owning the space yourself? The good news is that there are other options available. One of these options is the possibility that you could rent your own allotment. Renting an allotment is an idea which has been on my mind for some time now, as we currently live in a house which doesn’t have all that much outdoor space. Rather than have the hassle of moving, I thought it might be a good idea to rent a nice big allotment instead, one with plenty of room for the kids to run around and also somewhere where I could build a nice sized summer house and start growing a few vegetables. If I could manage to get a decent Wi-Fi signal at my allotment, then I could even consider doing some work from there during the summer months. Or, if I were to install a bit of a wood burner or introduce a gas heater, then I might even be able to work from there in the winter months too. It all depends how much money you want to spend I suppose, and whether it would be worth the hassle. I’m very keen on the overall idea of renting an allotment with plenty of outdoor space for the family to enjoy though, so I really can see myself going through with it. Fortunately, I happen to know a guy who rents out private allotment plots within a close distance to my home, so I got in contact with him over the weekend to ask whether there were any plots currently available and also what kind of costs were involved. As it often happens in life, I was just that bit too late to grab hold of a plot right now, as he’d just rented out the last two plots a few weeks ago. He was kind enough to add my name to the waiting list, though. As it stands there’s only one other person ahead of me on the list, so it seems that a plot might be mine before too long. So, how much does it cost to rent an allotment? Well, the cost for one of the allotment plots that I was viewing was a measly £100 per year or £50 every 6 months, as you pay in bi-annual instalments. When looking at some available plots online though, it seemed that plots could be rented from as little as £20 per year. I don’t know about you but I think that this is incredibly cheap for a plot of land that is bigger than the plot size of most UK homes. There really was a lot of space to play with on these particular plots. Like I mentioned earlier, how much it will cost you to set up the allotment and get it looking nice really does depend on how far you want to go with it and how handy you are with a saw and hammer. If you aren’t all that good with DIY and you are wanting to put up a giant summer house for example, then a flat pack or readymade summer house from somewhere like B&Q might well cost you an arm and a leg. If you are willing to up-cycle however, then you might well be able to do it on the cheap, perhaps building something out of free pallet wood or something like that. Before you go out renting your own allotment plot, it’s important to be realistic about just how much work is involved. For instance, even if you just want to own a simple patch of grass, you are still going to need to regularly mow it and with most allotment plots not having their own electricity supply, this means that you may need to purchase a petrol powered mower. While I was chatting to my friend the allotment owner the other day, he mentioned that he had just had to cut down the grass on one of the plots because the tenant had let it overgrow. He didn’t cut it for free, though. Instead he had sent the tenant an invoice to cover the costs, which was in the allotment rental contract that the tenant had signed. So, think carefully about whether you will have the time and determination to properly look after an allotment plot before renting one, or it could end up costing you more than you had anticipated. If you don’t happen to know someone who rents out allotment plots in your area, then how can you go about finding one? Google can obviously be your friend here and you might find that a quick Google search of ‘allotments for rent in…’ will be all that you need to set you on your way. If you can’t find any details online, then I would recommend that you get in touch with your local council. Even if they don’t have any allotment plots for rent directly, they may have some contact details for somebody who does, or they may be able to point you in the right direction of where you could start your search. The National Allotment Society website now also hosts a list of vacant allotments around the country but this will only list some of the many plots available nationwide. 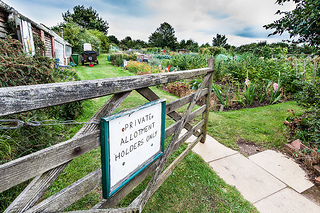 Have you ever rented an allotment plot and would you recommend it to others? My cousin decided to rent an allotment plot so that they can have a garden. She really loves gardening, she told me that she and her family enjoyed gardening.